The burning train was parked on a bridge over the N1 near Maraisburg. 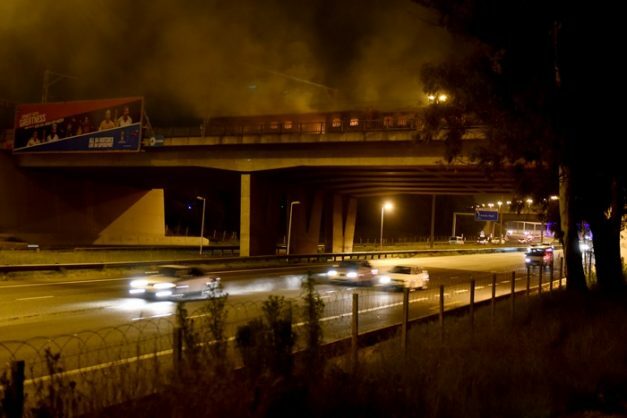 Two carriages of a Metroral train went up in flames on a bridge over the N1 between Maraisburg and Coronationville in Johannesburg this evening. 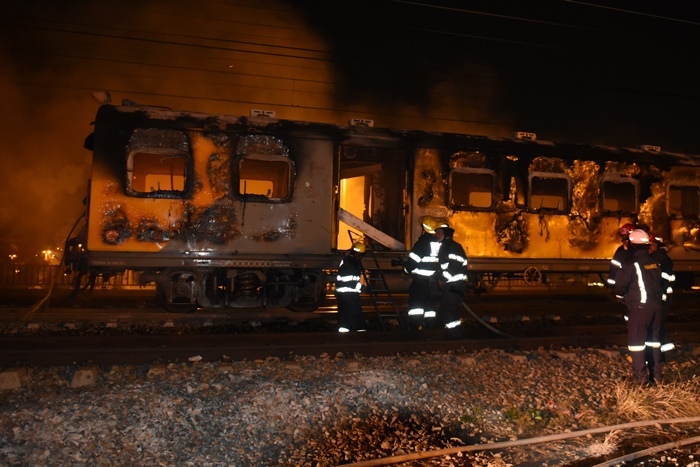 The train was travelling between Bosmont and Maraisburg stations when a faulty cable sparked the fire. 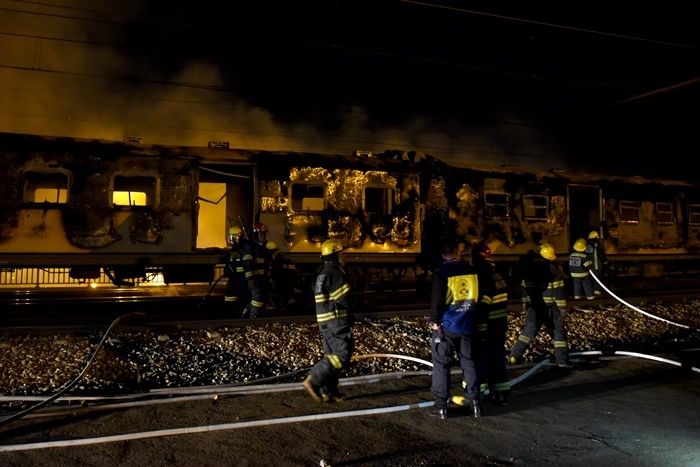 The estimated damage comes to R4,5 million, Gauteng Metrorail spokesperson Lilian Mofokeng said. No injuries were reported and all the commuters on the train were cleared. Emergency services were on the scene and put out the flames earlier this evening. Work is underway to clear the scene to ensure there will be no delays during the morning peak service, Mofokeng said. JMPD spokesperson chief superintendent Wayne Minnaar says they are investigating the incident.